Barbara Ann Stafford Brittain, 74 of Regina Lane, Bessemer City passed away, Tuesday, January 29, 2019 at Brian Center - Lincolnton. Born July 7, 1944 in Gaston County, she was a daughter of the late Brodus Houser and Doris Turner Houser. 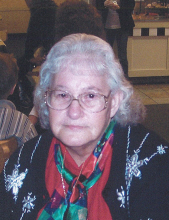 She was retired from Doran Mills and was a member of Plainsview Baptist Church. Barbara loved playing in the County Line Bluegrass Band, which was formed by her and her husband. In addition to her parents, she was preceded in death by a son, Jerry Glenn Watkins and sister, Libby Cabiness. Survivors include her husband of 29 years, Floyd Carroll "Shorty" Brittain; three sons, Dale Watkins of Shelby, Jimmy Watkins and wife, Allison of Mooresboro and Ronnie Watkins and wife, Laura of Shelby; 7 stepchildren, one very dear to her heart, Carolyn Moses and husband, David of Casar; a half-sister, Renee Houser of Cherryville; 20 grandchildren and numerous great-grandchildren. Visitation will be 1:00 PM to 2:30 PM, Saturday at Stamey-Tysinger Funeral Home. A funeral service will be 3:00 PM, Saturday at Plainsview Baptist Church with Dr. Ernest W. Speagle officiating. To send flowers or a remembrance gift to the family of Barbara Ann Stafford Brittain, please visit our Tribute Store. "Email Address" would like to share the life celebration of Barbara Ann Stafford Brittain. Click on the "link" to go to share a favorite memory or leave a condolence message for the family.